Kevin Overturf posin with his "Piracy Bike". 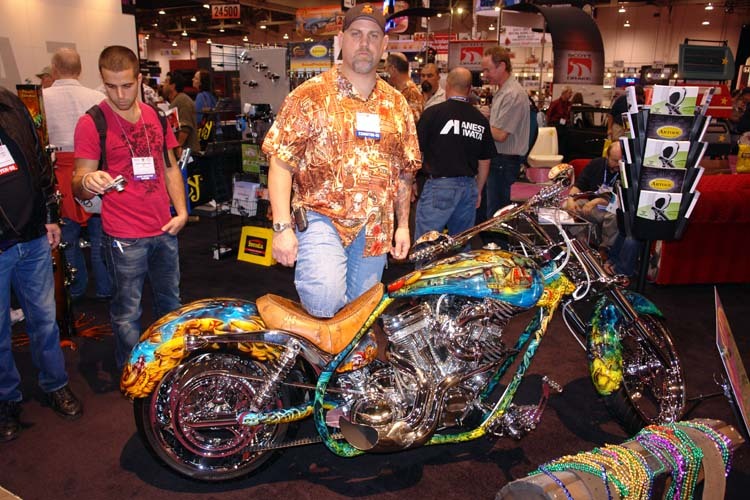 Kevin brought the bike to SEMA hoping to sell it. By the third day it was sold. Heck,...better then EBAY!.